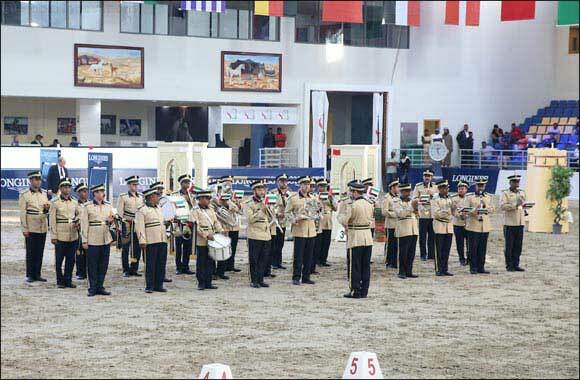 Dubai, UAE, January 29, 2019: If you’re only able to do one thing this weekend, make sure you visit the Sharjah Equestrian and Racing Club for the H.H. Sharjah Ruler Cup International Show Jumping Championship! Taking place from Wednesday, January 30th to Saturday, February 2nd, the four-day event will see more than 220 riders and 500 horses from 38 different countries compete for the most prestigious title of H.H. Sharjah Ruler Cup winner. Held under the supervision of the UAE Equestrian and Racing Federation (UAEERF), the Championship will feature CSI5*W competitions with jumps that measure up to 170cm and carry a total prize purse of 417,000 Euros. Also sponsored by Longines - Official Time Keeper and presenting partner of the Emirates Longines Show Jumping league competitions – are classes for children between 10-14 years old (CSICH-A) and junior riders between 18-21(CSIOJ-A). Other competitions include classes for young horses between 6-7 years old (CSIYH1*) and young riders between 15–18 (CSIOY) as well as six classes ranked at CSI2* level. This week’s competitions feature not only World Cup Qualifiers but also the Group VII final. You’ll also find that there will be plenty to do for your entire family. Waiting for you this weekend is a fully-loaded food court with a diverse range of delectable options, an equestrian exhibition with the latest equipment and accessories for both horse and rider and a kids’ corner that features free pony rides, face painting, a bouncy castle and plenty of fun and games. Head to the Heritage Village for showcases of traditional food and handicrafts for sale as professional dancers put on an awe-inspiring display of traditional Emirati dance. Finish off a memorable day by attending one of the many entertainment shows planned for the evening which include a performance by the Sharjah Police Music Band, a light show and horses dancing to music!